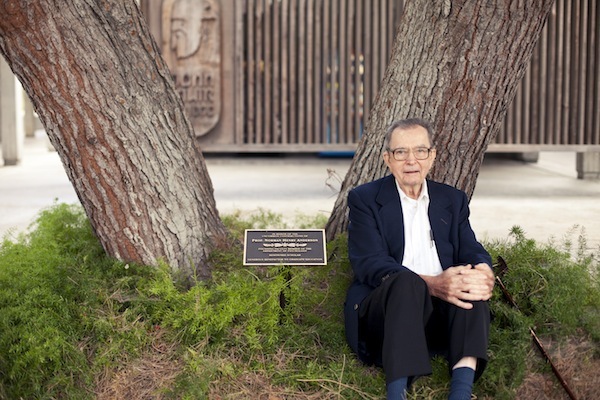 On August 17th, Dr. Norman Anderson of the UCSD Psychology department was honored with a tree dedication. 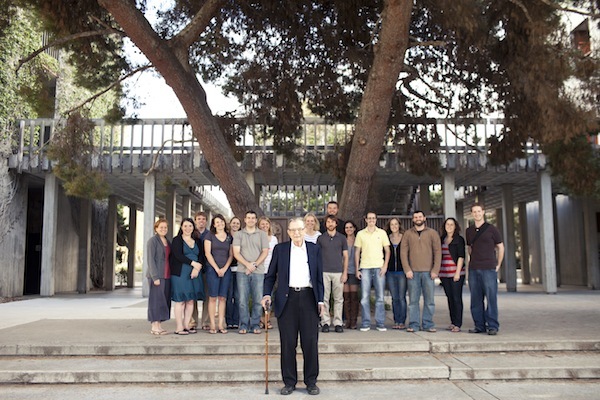 Dr. Anderson is a distinguished emeritus professor and long-time Graduate Statistics instructor in the department. Department graduate students participated to honor and thank "Coach", an honorific he's earned inside the classroom that now extends outside it. Dr. Anderson has made numerous contributions to the psychology department, including financial support of graduate students and campus-recognized excellence in teaching. 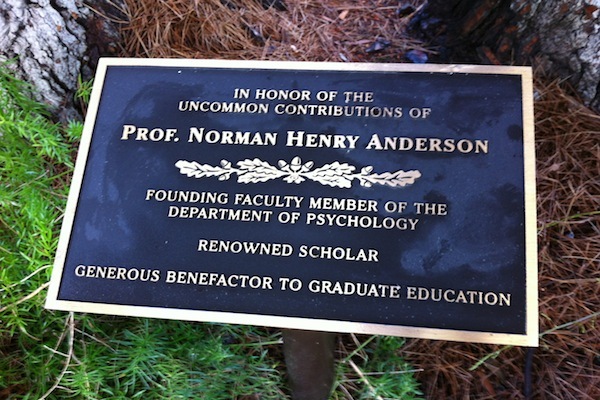 The tree, a 40 year old Torrey Pine in the courtyard east of the McGill psychology building, is now decorated with a plaque to honor Dr. Anderson's support.